Ah road trips. There’s something so nostalgic about them. Family bonding time, Mom and Dad sharing stories from their youth, and rocking out to upbeat playlists. But gone are the days of worn atlases and mixtapes in the tape deck. We are in the golden age of technology, and we have everything we need for a successful road trip right in a tiny rectangle-shaped computer in our pockets. Apps can do everything from helping you pack to planning your route to navigating your way through bad weather and traffic. Whether you’re heading home for the holidays, road tripping to some National Parks in the summer months, or just hitting the open road to see where it takes you (not recommended with toddlers in the car), you’ll likely be using apps to help you along the way. Here are the best apps to use as you prepare for a road trip, navigate, and find places to stop along the way. I use the Notes app native to my iPhone for keeping track of all kinds of random thoughts that pop into my head as I prepare for a trip. I love that there is a checklist option so I can include my own personal packing list and check things off as I add them to my bag. I actually think this is one of the most underrated apps on your phone, and there are so many things you can do with it that you may not realize, such as adding links, uploading photos, creating tables, using the draw feature, and sharing with other people. You can also change the layout in the Setting app of your phone to make it lined or grid instead of just a blank page. Not only does this make a great packing list, but I’ve also used it to create a list of all the spots I want to check out while I’m in a city. You could add addresses, links to websites, and photos under each spot you want to stop at for quick access. It’s free, it’s already on your phone, and it’s easy to navigate. Google Keep saved my marriage. Ok, that’s a little drastic. But it did help manage the packing mania and made our departure for our latest road trip to the Florida Keys much calmer. A friend told me about this app, and I immediately used it to share a “to-do before we leave” list, a kids’ packing list, and a food packing list with my husband. Normally we fight for the first 10 minutes of a road trip because I grocery shop and prepare the food, do everyone’s laundry, make a list for and pack the kids’ suitcases, pack my own suitcase, research and plan for what we’re going to do, and clean the house. He packs his own suitcase and loads everything in the car. (Ok, he finds a dog sitter, too). I get mad because I’m so tense from making sure everything’s ready to go and the kids destroying and unpacking everything I pack. Rinse and repeat. Well THIS time we had Google Keep. All he had to do was look at the lists I shared with him and got to working packing up alongside me. Google Keep is simply another app you can use with your Google Account similar to the Notes App. You can do checklists, to-do lists, drawings, links, and pictures just like Notes. It also has a handy-dandy reminder feature if there’s something you need to remember to do last-minute. If you don’t want to get too fancy, just put a reminder for last-minute items in the native Reminders App on your phone. I’m usually making sure my laptop or Kindle is fully charged, so I don’t pack them until we’re about to leave. I usually add a reminder on my phone for our schedule departure time to make sure I don’t leave them behind. Maybe you need to remember to turn down the air conditioning, pay rent, or grab a water bottle out of the fridge. Set a reminder for peace of mind. If you’re someone who is too busy to make a list or you don’t even know where to start, this is an awesome free alternative to the Notes App or Google Keep. You enter your gender, destination, and what activities you’ll be doing there and it generates a packing list for you. It even checks the weather at your destination and includes clothing items appropriate for the weather. You can always add or take away from the list they give you to customize it for yourself, but I found it to be a really good place to start. If you’re planning to travel slowly and make some fun stops along the way, then you definitely need to use RoadTrippers. It’s a website and app that lets you enter your city of origin and destination, and it give you unique places to stop along the way. Categories include outdoors, things to do, points of interest, food & drink, amusement & nightlife, camping & RV, and hotels. On both the app and website you’ll find free travel guides for your route, or suggestions and guides for the best road trips in the United States. I’ve always used the weather app native to the iPhone, but you may already have another favorite. Regardless of which weather app works for you, they all come in handy when it comes to checking for inclement weather along your drive and knowing the forecast for your destination so you can pack appropriately. I cannot rave about the app enough. I stumbled upon it by accident when I was looking for Google Flights, and now I want to shout it from the rooftops. This is the best app for having all of your travel information in one place. When I signed into the app, it already had some of my upcoming trips saved that it had pulled from my email. Creepy? Maybe. Incredibly convenient? For SURE. When you pull up your destination, you’ll find reservations (flights, hotels, etc - already pulled from your email so you don’t have to manually enter anything), suggestions for things to do in the area broken down into categories like popular, outdoors, and kid-friendly, suggested itineraries, discounts for tours, car rentals, etc, restaurant suggestions, tips for getting around from where to park to great walking areas and public transportation tips, and finally a need to know category with miscellaneous information about the area. So if you decide on a whim during your road trip that you want to stop in a certain city, just pull up Google Trips and start searching and booking. So cool. Not to mention I found the interface to be incredibly bright, clean, and easy-to-navigate. This could have gone in the planning OR the navigating category. It helps to check your route before you leave, but for most of us millennials raised on GPS, we’re used to just dropping our destination into the search bar and going wherever the nice voice tells us. Google Maps is great because it will give you detours when there’s a lot of traffic and make sure you’re on the fastest route. Just make sure to have a backup on hand in case you lose reception and internet. Print out your directions ahead of time, or better yet, keep an atlas in the car in case you’re on an alternate route. This is another navigation app, but it’s got a social feature so you can share your ETA, route, or location with friends and family. This is great if you’re trying to meet up with someone, doing a caravan road trip with friends, or driving to visit family if they want to track your progress. GasBuddy is an app and website that helps you plan out the cost of filling up your tank for the entire trip. You can estimate the cost of your trip and find the cheapest fueling stations along your route. iExit is a dream come true for families on the road. Sometimes you need to stop SOON due to a diaper situation, a screaming child, a need for coffee when your kids are driving you nuts, or finding when the next rest stop will be if you’re driving through the night and need a quick snooze. It finds your location on any interstate and shows you what exits are coming up. There’s also a search function so you can find specific stops like gas stations, coffee, fast food, lodging, or rest areas. You can use Sit or Squat to find clean public restrooms along your route. This app searches for public restrooms near your location, and gives it a green toilet paper roll icon if it’s clean, and a red one for gross ones where you would want to “squat". Definitely comes in handy if you’re traveling with little kids who are newly potty-trained. Besides road trips, this is a handy app to keep on your phone when you’re out and about or exploring a new city. I find that I dehydrate myself when I’m traveling because I’m never sure when I’m going to have access to a bathroom next. This will help fix that situation! Roadside America finds offbeat tourist attractions as you’re driving through a state. 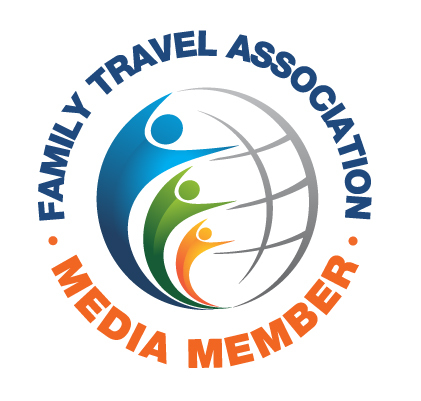 If your family is into having unique experiences while you travel, this is definitely a great resource for you. Think things like a Bigfoot Museum, the world’s largest burger, and backdrops from famous movie scenes. The app is $2.99, or you can search the website. One thing I’ve always disliked about road trips is how sluggish and bloated I feel at the end of them from junk food and fast food restaurants. Food Tripping helps solve that problem by finding better food choices near you like farmers’ markets, health food stores, juice shops, vegetarian/vegan restaurants, and organic coffee. I’ve also written a post about packing healthy road trip snacks so you and your kids feel great while you’re traveling! The Outbound focuses on finding outdoor adventures wherever you are. Simply enter your location and interests as prompted when you create your account, and this app will come up with outdoor activities you might like nearby. They have everything from hiking, camping, and fishing to photography and chillin. The app even has a social aspect where you can follow other adventurers to get inspiration. So when you’re stuck in the car all day and itching for a hike, a swim, or a bike ride to stretch your legs and take a break from driving, look to The Outbound for ideas and locations. Yonder is a very similar app with a little bit more of a social aspect to it. Discover outdoor adventures near you and share them with fellow adventurers. If you’re driving through a major city that you’ve always wanted to visit, but only have a few hours to do it, try Detour. This app provides guided walking tours where you can just pop in your earbuds and learn about the city. Unfortunately it currently has only 10 U.S. cities, so chances are low that you’ll be able to use it. Download ParkWhiz to help you find the best parking spots in a new city. One of the most stressful things about exploring via car is figuring out where to park and how much it’s going to cost. ParkWhiz takes the headache out of parking, and you can even reserve and pay for a parking space ahead of time. When you’re road tripping with kids, everyone is bound to go a little stir crazy being trapped inside a vehicle together for hours on end. Oh, Ranger! finds parks near you and denotes whether they’re local, state, or national parks. You can even select which types of activities you’d like to find, so if you have little kids you could select “playground” and it will show you all the nearby parks with playgrounds. There’s nothing better than letting the kids out of the car for 10-15 minutes to climb, run around, and use their “outdoor voices” while the adults get a chance to stretch their legs and do laps around the playground area. Grab a Free Kid's Road Trip Scavenger Hunt Here! Field trip runs in the background while you’re driving and will speak interesting information and history about the surrounding area as you pass. I don’t know how I would make it through long drives without podcasts to listen to! Make sure to download a few podcasts to your phone on whatever podcast app you use on your phone before your drive. You can’t always count on streaming since some areas might not have great internet connection. There are thousands upon thousands of podcasts out there, so whatever your interests are you’ll definitely find something you love. I love Serial (true crime), the Bible Binge, The Popcast, Happier with Gretchen Rubin, Binge Mode Harry Potter (be careful - wait until your kids are sleeping because there is definitely adult content and language on this one), Coffee and Crumbs (about motherhood), and The Simple Show. There are also podcasts for kids, so have your little ones help you pick out something they would like to listen to before the road trip. Overdrive is an app where you can borrow digital library books on your phone or tablet, and you can also borrow audio books. Pick one for the whole family, and one just for you! Use Spotify to create and download the perfect road trip playlist. You can download your books from Overdrive onto the Amazon Kindle App on your phone, and it will automatically update on your Kindle, too! You can also use this app to borrow books from the Amazon Kindle Lending Library if you have an Amazon Prime account. You can now download select movies and shows to your device from the Netflix App so kids have something to watch during long stretches. We like to put a movie on right as it starts to get dark and after we’ve fed the kids dinner so they have something to help them relax and maybe fall asleep. This is nice for the adults, too! Use the Find the License Plate app to distract the adult in the passenger seat as well as the kids during your road trip. The app has pictures of what each state’s license plate looks like so you can easily recognize and check off the ones you need. Besides just mindlessly scrolling through your feed, you can use Instagram to look up things to do or beautiful sights in cities you pass through or destinations along your route. I like to look up the Visitor’s Bureau’s account, then check the hashtag for that city, then finally use the Places tab that pops up when you search. So, for example, if I wanted to find something to do in Savannah, Georgia I would look up @visitsavannah, then #visitsavannah, #savannah, #historicsavannah, #downtownsavannah, and finally Savannah, GA under places. You can also keep family, friends, and followers up-to-date on your adventures on the road with Instagram Stories. Share the good, the bad, the ugly, and even save them to your highlights to look back on later! Are you following along with our adventures on Instagram? Hotel Tonight has amazing last-minute deals on hotel rooms that you can book the day before or even the day of. Sometimes you don’t always know if or where you’re going to stop, so it’s nice to have a trusted source for hotel rooms you can get on-the-fly. Prices are great, and they have different categories of hotel rooms like Solid, Basic, Luxe, and Hip so you know exactly what you’re getting. Use code: EKRAUSE17 to save $25 on your first booking with Hotel Tonight! This website and corresponding app help you find dog-friendly accommodations, restaurants, and dog parks. When we drive back to Wisconsin from Florida we usually end up bringing our dog along, so this comes in very handy along the way! PLANNING A ROAD TRIP SOON? Downloading some of these incredibly useful apps can help make your life a little easier as you navigate the open road. Don’t forget to check out the kids’ activities I stock up on before every road trip. Prepare some healthy snacks to keep everyone full and happy on the long ride and get packing the right way. Read up on 50 road trip activities for toddlers and preschoolers. Make your own awesome road trip binders to keep your little ones engaged. Long road trips with kids can be really hard, but make sure you’re prepared so you can relax and enjoy the adventure while making some lifelong memories for your little ones. Sign up with your email address to receive news and updates, and you’ll get a kid’s road trip scavenger hunt sent right to your inbox.